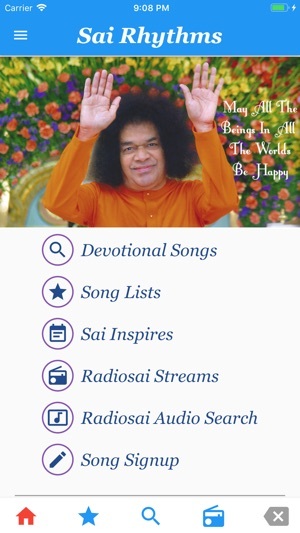 Search Devotional songs commonly sung in Sathya Sai Centers using a variety of criteria like lyrics, deity, level, tempo, and tune (raga). 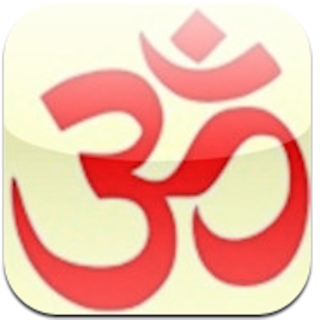 App includes song database with over 2800 songs in English, Spanish, Indian and other languages from across the world. No internet connection needed to search for songs and view lyrics and meaning. 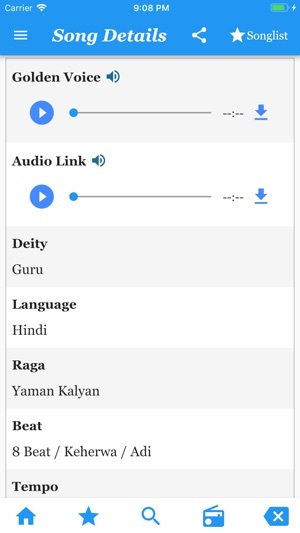 Contains meaning of songs, including a glossary with word by word meaning of Indian language words used in the devotional songs. 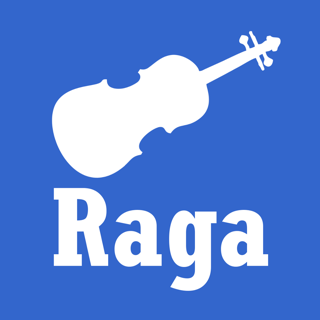 Integrated Pitch Player for singers to set pitch before offering a song. Jot down notes on songs such as your pitch, or number of times you have practiced. Karaoke tracks if available are included with song details. Saves Recent Searches for quickly re-visiting previously searched criteria. 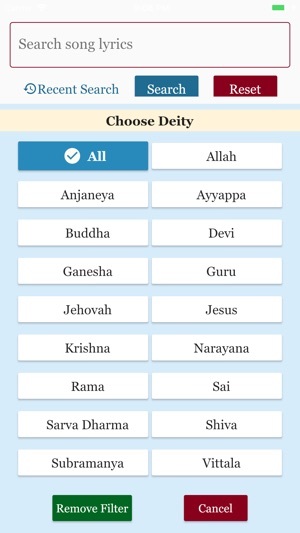 If your center uses online signup for weekly devotional singing sessions, sign up for songs from within the app. Maintain multiple Songlists (favorites) and autoplay the songs. 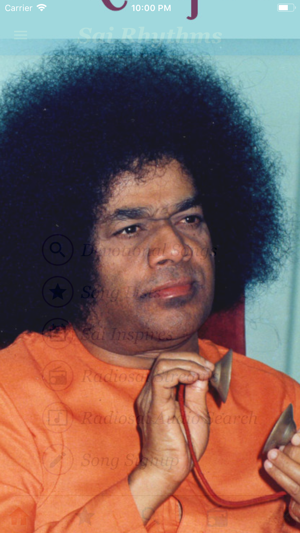 Read the daily "Sai Inspires" published by Radiosai. 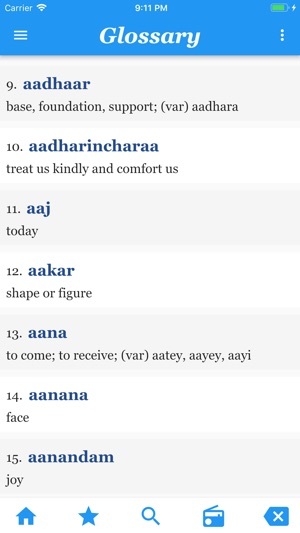 Provides a built-in calendar to look up the Thought For The Day for any date. Share the quote with others. 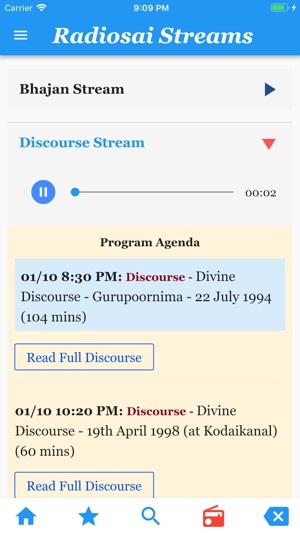 Listen to the various Radiosai Streams. Streams will show the daily agenda and highlight currently playing program. 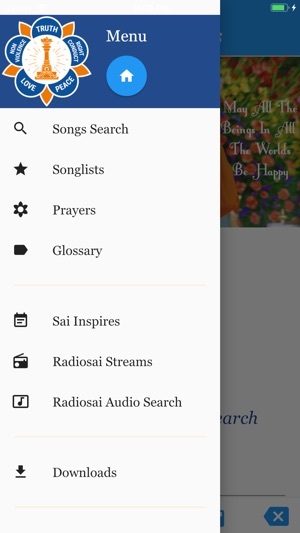 Search Radiosai Audio Archives and add to Songlists. 1. Saved Notes will now display on Song Details page. 2. 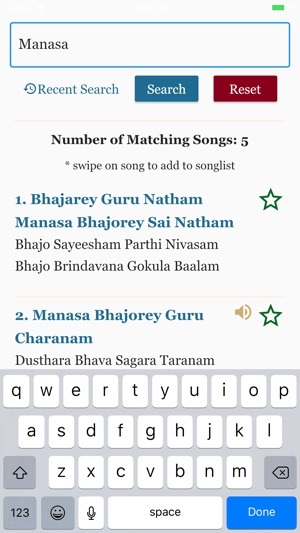 Added top bar for iOS devices on song search screen to show notification icons. 3. Fixed location for search bar on song search page. Only search results will scroll, the search bar will be readily available to reset or refine search keywords.